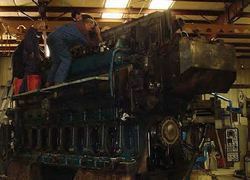 Leading Manufacturer of diesel engine repair and marine diesel engine maintenance from Gurgaon. The client has definite advantage of getting the engine overhaul done as we have the in-house facility of repair of major engine parts like cylinder head, cylinder liners, crankshaft, piston, etc. 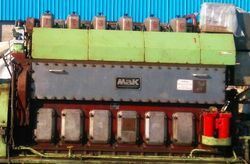 We are the only company which can undertake engine overhaul, engine repair, and replacement of crankshaft while vessel is sailing. We are an acclaimed name in the market, engaged in presenting a superior quality array of Marine Diesel Engine Maintenance. The maintenance service is provided by our deft professionals who are well versed in handling the repair and replacement solutions. They are well educated and holds industrial experience for a longer period of time. In the maintenance service, our professionals use quality machines and tools for providing better solutions to the clients.